We are proud to be the only provider of this amazing traditional European festive drink, for everyone in Vancouver and the entire Lower Mainland! 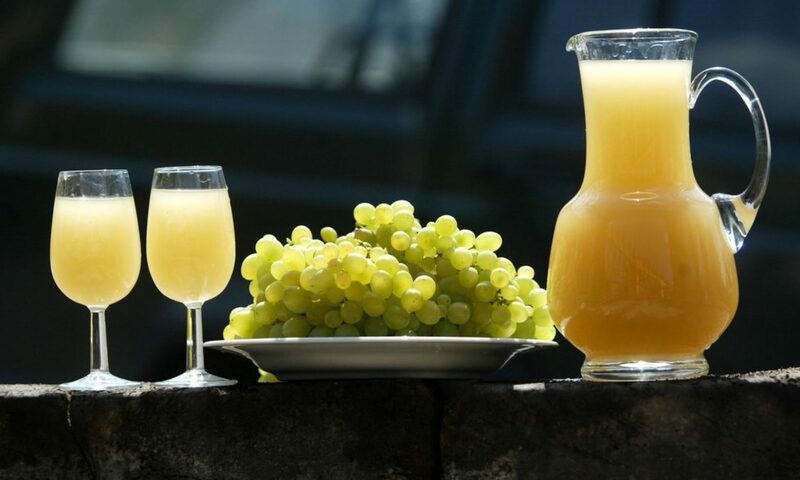 Not limited to Czechs and Slovaks, who call the drink burčák and/or burčiak, it is also known as Suser, Sauser, Neuer Süßer (new sweet), or Junger Wein (young wine) in Southwest Germany, Switzerland and South Tyrol, Sturm (storm, from the cloudy appearance) in Austria, Federweißer in Bavaria, Neuer Wein (new wine) in the Palatinate, Bremser in Franconia, vin bourru or vernache in France, must in Romania, karcos in Hungary, “მაჭარი” (machari) in Georgia, “մաճառ” (machar) in Armenia. There are probably many other versions of this delicacy wherever wine is made.